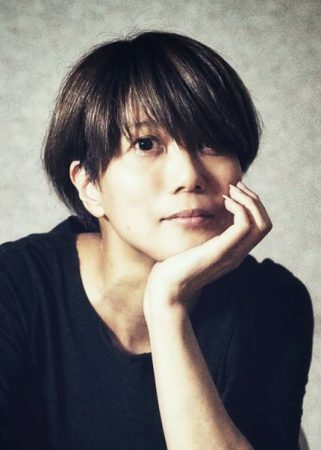 Yukiko Mishima is a female Japanese director who has directed and written a number of films, including Shiawase no pan (2012), Night’s Tightrope (2016) and A Drop of the Grapevine (2014). Previously, she had worked as a producer and director for documentary programs at NHK in Japan. Her latest film, Dear Etranger was selected as the opening film for 2017’s Toronto Reel Asian International Film Festival. The film involves following the life of a man with children from current and previous wives, trying to do a good job as a father and not be a “stranger” to his family. Read our review of Dear Etranger here. Ricepaper Magazine conducted an email interview with Yukiko. Her original answers in Japanese are below along with translation graciously provided by Reel Asian staff. We discussed the inspiration for Dear Etranger, roles in Japanese culture and film projects. JF Garrard: What motivated you to tell this story? I have three motivations. One is that I lost my father and the house I grew up is gone so I thought about blood and family. Secondly I felt like it is the time for the current Japanese society to consider different forms/types of connections besides blood connections. Thirdly I wanted to make a movie about finding yourself by meeting other people and having conflicts with them. This story contains these three essences. JFG: What can a man do to be a “good father”? And a woman be to be a “good mother”? I don’t know. What is a good mother and a good father? I would imagine you can never find an answer to that. Even if you think you found an answer you never know if it is the correct one. However you need to keep trying to find the answer. What is fatherhood and motherhood? Fatherhood means ‘Show the value he created’ and Motherhood means ‘Unconditional love’. JFG: In Japan there have been many tumultuous events in its history of being uprooted and so forth. Are “complicated family units” more acceptable now in Japan than previously? In Japan we say that blood is thicker than water, meaning blood connection is deeper and stronger than any other connections. However in Japan divorce rate and remarriage rate is increasing so the Japanese society needs to change. On the other hand, majority of people still consider the blood tie is important. Being obsessive about Japanese blood and family blood can create alienation of others so that makes me scared sometimes. In the film title, I put Etranger. Even if you have blood tie or not, beside ‘myself’ is all ‘others’ and the chemistry between ‘myself’ and ‘others’ means living a life. JFG: How did audiences in Japan and internationally react to this film? Many people could feel sympathy towards different characters and my film and felt various things. Many people told me that they thought about their own family, partner, myself and others, “what is myself?”, etc. because my film makes people aware of a theme of an ordinary family by depicting family members which have no blood tie. JFG: How long did this take from script to finished film? The completion of a script, raising funds, casting etc. It took me 6 years. JFG: Any difficulties in production along the way? The story is rather subdued so it was hard to gather funding. So together with Mr. Haruhiko Arai, the scriptwriter, we took time to gather funding by getting supporters one by one. The story doesn’t have a major event however it is a record of a family’s life so I wanted the audience to feel like watching a real family. I tried to pursue realistic acting from the actors. JFG: What advice do you have for aspiring film makers? You may find filmmaking difficult. For a creator, being free is the biggest joy but you may have to express yourself with many restrictions. However, like our predecessors I believe people can change things like Taxi by Jafar Panahi. JFG: What is your next project? My next project is about a woman who has to live a hard life but the film also has songs (a musical). It will be a Gone with the Wind Japanese version of musical entertainment.